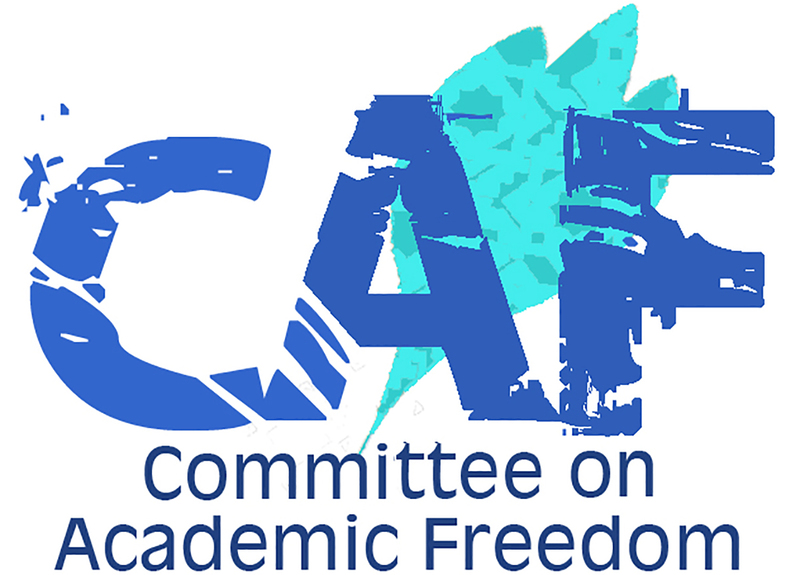 We write on behalf of the Middle East Studies Association (MESA) of North America and its Committee on Academic Freedom to express our increasing concern and dismay over the cumulative effect of the emergency decrees that have devastated Turkish academia, beginning with the decree that led to the closure of fifteen universities. MESA was founded in 1966 to promote scholarship and teaching on the Middle East and North Africa. The preeminent organization in the field, the Association publishes theInternational Journal of Middle East Studies and has nearly 3000 members worldwide. MESA is committed to ensuring academic freedom and freedom of expression, both within the region and in connection with the study of the region in North America and elsewhere. Following the coup attempt on June 15, 2016 the first emergency decree issued in July 23, 2016 [Kanun Hükmünde Kararname KHK 667) involved the closure of 15 of the country’s 193 private universities: Altın Koza (İpek) Üniversitesi (Ankara), Bursa Orhangazi Üniversitesi (Bursa), Canik Başarı Üniversitesi (Samsun), Selahaddin Eyyubi Üniversitesi (Diyarbakır), Fatih Üniversitesi (İstanbul), Melikşah Üniversitesi (Kayseri), Mevlana Üniversitesi (Konya), Şifa Üniversitesi (İzmir), Turgut Özal Üniversitesi (Ankara), Zirve Üniversitesi (Gaziantep), Kanuni Üniversitesi (Adana), İzmir Üniversitesi (İzmir), Murat Hüdavendigar Üniversitesi (İstanbul), Gediz Üniversitesi (İzmir), and Süleyman Şah Üniversitesi (İstanbul). These universities were alleged to have received endowments from private sector individuals and entities with ties to the religious community (the Gülen community, or followers of the exiled religious leader Fethullah Gülen) that the government holds responsible for the attempted coup. These universities had a cumulative enrolment of 64,533 students and employed 2,808 academic staff members. With the closure, academic and non-academic staff members who had been working in these universities found themselves unemployed overnight and were unable to claim their last salary check or any other form of compensation. Their dismissal letters include a note stating that they were dismissed under emergency measures (OHAL-KHK). Many dismissed academics claim that when they have applied for jobs in other universities, their applications have been rejected on these grounds. Many of these academics claim that even though they had no connection to the Gülenist movement, they have been stigmatized by state action that imputes such an association to them on the basis of their employment at these universities. Students whose studies have been disrupted by the university closures were promised that they would be transferred to other universities. However, since where a student in Turkey studies is determined on the basis of their performance on a centralized examination, these students were told that they would be transferred according to the points they received on the exam they took in the year they started their education. Each closed university was also designated a so-called “guarantor university” that would take transfer students following the closure. The guarantor universities are generally state universities in the same region. For students who were forced to transfer from the now closed private universities to state universities serving as guarantors, they are now faced with significant inequities in tuition payments. While state universities ordinarily charge students a nominal fee, the transfer students are required to continue paying private university tuition fees, which are much higher. Furthermore, students from the closed universities who had been receiving financial aid from the Institution of Credit and Dormitories (Kredi ve Yurtlar Kurumu) to offset these high fees at their original universities have had their financial aid for education and subsistence cancelled. According to Official Gazette 29779 once students register in their designated guarantor university, “necessary measures would be taken.” This ambiguous formulation suggested that some or all of their financial aid might be restored, but it is not clear that such measures are actually being taken. For international students no such accommodation has been made. International students who were enrolled in universities subjected to closure not only had their financial aid cancelled but were forcibly sent back to their countries. Students who had visiting status in these universities through Erasmus or other exchange programs had their visiting status cancelled, as well, and were denied the opportunity to secure alternative places at other universities. The measures have caused many other difficulties for students. Most important, the students who have been transferred from universities subjected to closure are issued diplomas from their new universities that include a phrase marking them as having transferred from a university that was closed by emergency decree. Students who receive these diplomas are concerned that this designation will cause them to be seriously disadvantaged in the job market. Equally important, not all students have been able to find matching departments in their “guarantor university,” and many have had to move to continue their education in their chosen field. Moreover, there have been widespread reports of students’ being subjected to discrimination by staff members and students of the university to which they were required to transfer. Beyond the measures affecting students as a result of university closures, another emergency decree, issued on October 29, 2016 (KHK 675), specifically targeted 68 students for expulsion from their studies and denied them student status on the basis of allegations of membership in or relations with the Gülen movement, which has been designated as a terrorist organization by the government (Fetullahçı Terör Örgütü/ Paralel Devlet Yapılanması (FETÖ/PDY), or the “Fetullahist Terrorist Organization/Parallel State Structure”). These students are not only barred from transfer to guarantor institutions, but are also excluded from receiving academic degrees. Finally, we draw your attention to additional measures that have targeted academics for detention on the basis of allegations that they are members of the Gülen movement. On November 18, 2016 the Istanbul Chief Public Prosecutor’s Office issued 103 arrest warrants against academics as part of an anti-terrorism probe. These arrest warrants, in turn, led to organized operations by the Istanbul police to raid the homes and offices of academic staff members at Yıldız Technical University. During these operations, 73 academic staff were reportedly detained, while orders remain in force to pursue the detention of the remaining 30 for whom warrants had been issued. The basis for arrest specified in these warrants is the accusation that the suspects used the “ByLock messaging app,” which is treated by the government as evidence of being a member of the Gülen movement. While it is apparently true that the ByLock app was developed by a member of the Gülen community and may have been widely used by other members, this is by no means a legitimate basis to conclude that users were tied in some way to the attempted coup. It is worth noting in this regard that most accounts suggest that the coup-plotters did not use ByLock but rather exchanged messages concerning the logistical organization of the coup attempt using a WhatsApp group messaging service. Further, the ByLock app had as many as one million registered users, including hundreds of thousands of subscribers outside of Turkey and maybe as many as 180,000 users in Turkey. Having downloaded this app is by no means evidence of participation in a coup-plot; to arrest individuals for having used the app amounts to arbitrary arrest. We respectfully ask that your government take immediate steps to reverse the closures and dismissals announced in the 23 July 2016 decrees. If the government wishes to pursue allegations against any of these institutions or individuals, it should do so in accordance with basic procedural rights and the rule of law, through open court proceedings giving individuals and organizations an opportunity to confront any alleged evidence and offer a defense and appeal. Until and unless such procedures are instituted, those who have been dismissed and as a result, have lost their salaries, scholarships, or financial assistance should have their positions and means of support restored. Furthermore, we ask that your government ensure that all of the arbitrary and procedurally flawed investigations—disciplinary and criminal— enumerated in our previous letters and Board statements be terminated or reversed. We also ask that your government desist from broadening the definition of terrorism to encompass the lawful and protected activities of academics, journalists and NGO advocates. In the aftermath of the failed coup attempt, your government has an opportunity to restore confidence in its commitment to democratic rights and freedoms by taking steps to protect academic freedom, freedom of expression and freedom of association.